MY NAME IS DAMIAN AND I OWN AND OPERATE THIS SMALL FAMILY BUSINESS DELIVERING TOP QUALITY ROOF RESTORATIONS. 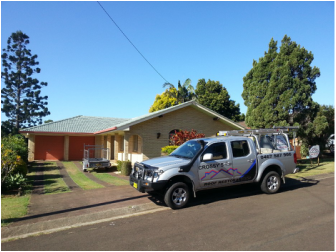 I HAVE BEEN RESTORING ROOFS FOR MANY YEARS AND HAVE NEVER HAD AN UNHAPPY CUSTOMER. ALL WORK IS DONE WITHIN MY BUSINESS, I DON'T CONTRACT OUT MY WORK. THIS MEANS YOU GET A PERSONALISED SERVICE THAT IS HASSLE FREE. SIMPLE, HASSLE FREE, TOP QUALITY ROOF RESTORATIONS! WHEN YOU CALL, YOU GET ME ON THE PHONE, I GET ON THE ROOF AND PROVIDE YOUR QUOTE AND MOST IMPORTANTLY I AM THE ONE TO DO ALL THE WORK. WE INSTALL SKYLIGHTS AND WHIRLYBIRDS! WE LOVE NEW PREJECTS! LETS GET STARTED!